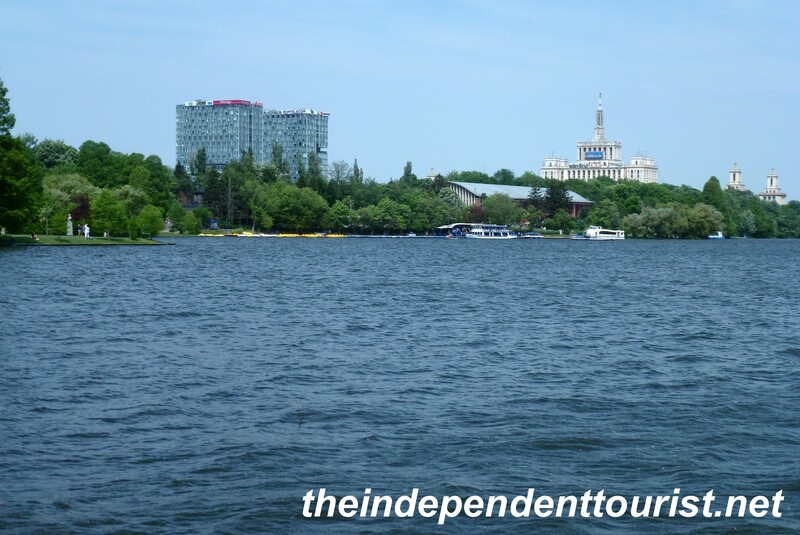 Lake Herastrau in Bucharest. The Village Museum is on the western shore of this lake. 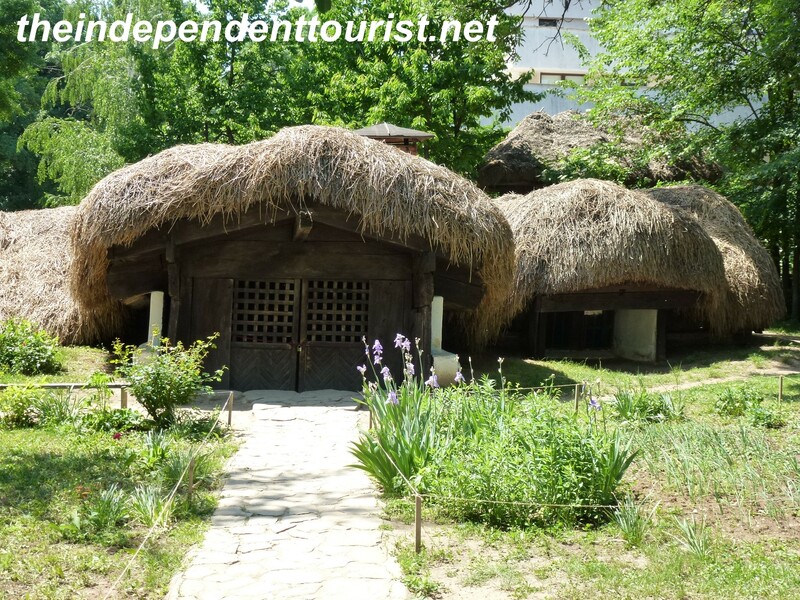 One of the most interesting sights in Bucharest is the Village Museum, located close to the Arc de Triumf (Bucharest’s answer to the Arc de Triomphe in Paris) and situated on the shores of Lake Herăstrău, adjacent to Herăstrău Park. 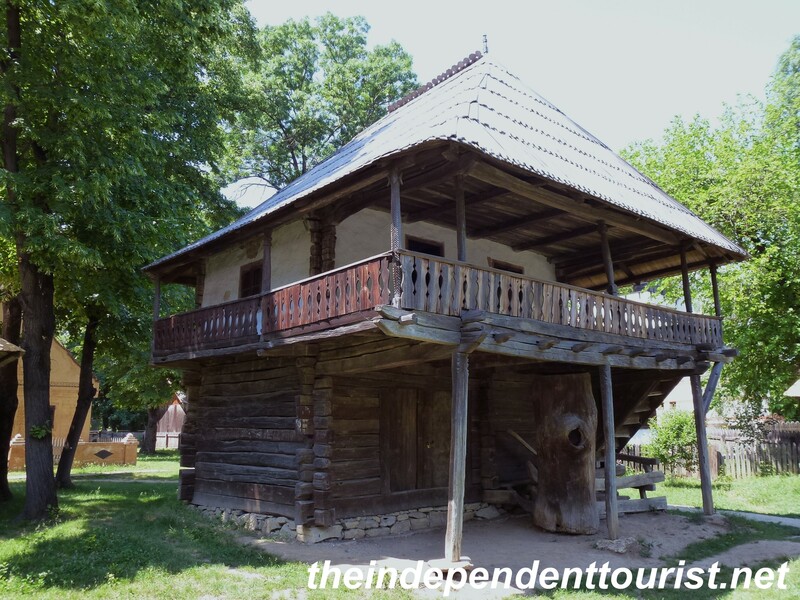 The museum provides visitors with a look at how people lived in rural Romania for centuries. For more information on other sights in Bucharest click here. Note the intracate fence design – a lot of work to build and maintain if you had a large farm! 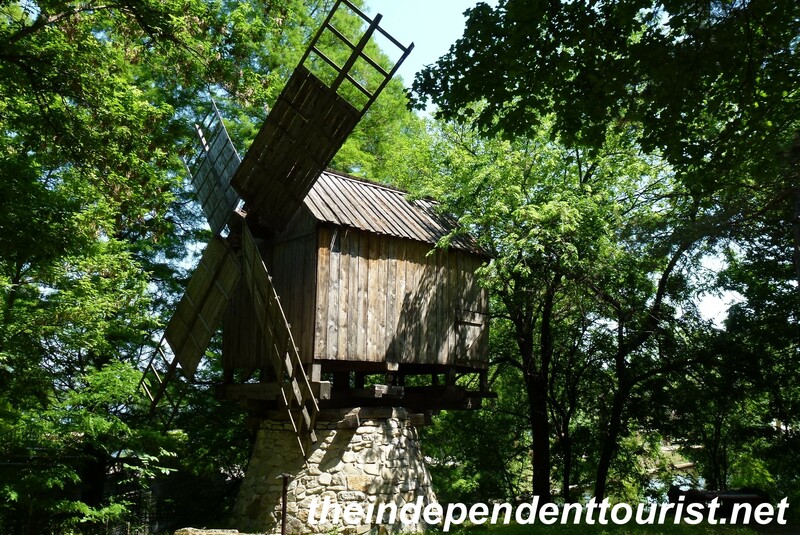 The open air museum contains a number of homesteads with houses, barns, farm implements, churches, water mills, windmills and presses from around Romania. This type of home was very practical – half buried, so it remained cool in the summer and warm in the winter. It was also easier to disguise during Ottoman raids. Plus, less maintenance – few exterior walls to paint! 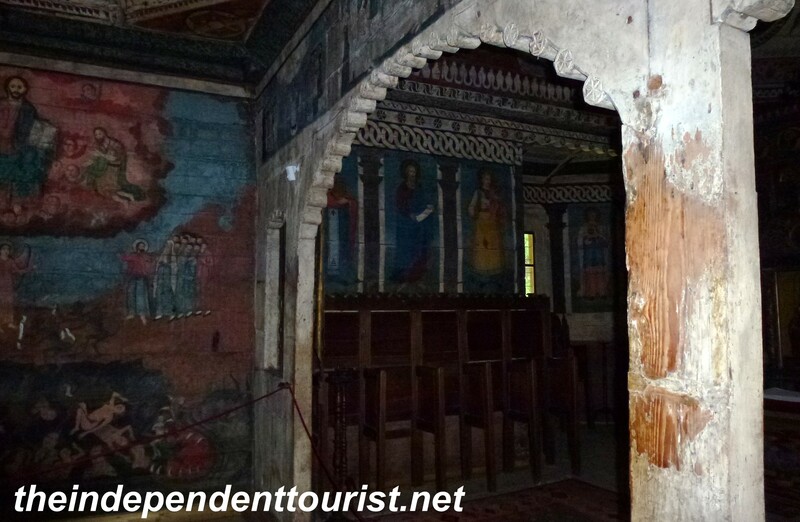 I was impressed with the highly decorated wooden churches, with various biblical scenes on the interior walls. 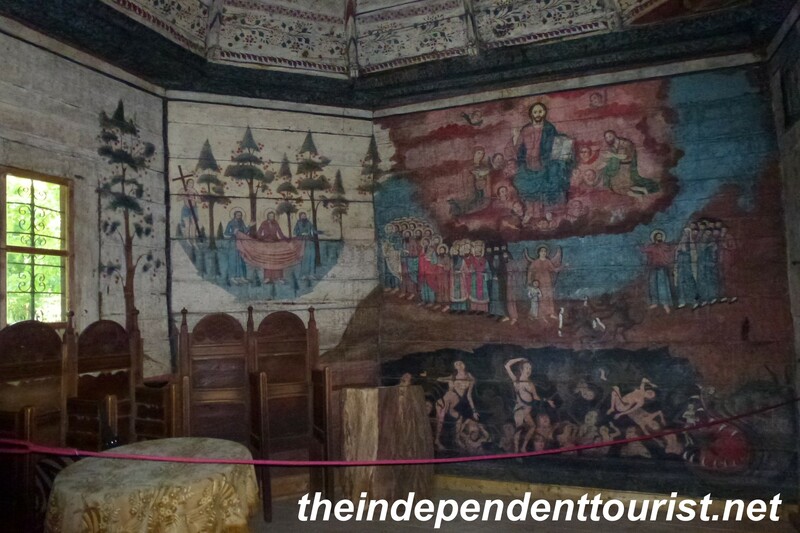 A 18th century wooden church, with the brightly decorated interior. Another view of the same 18th century church. 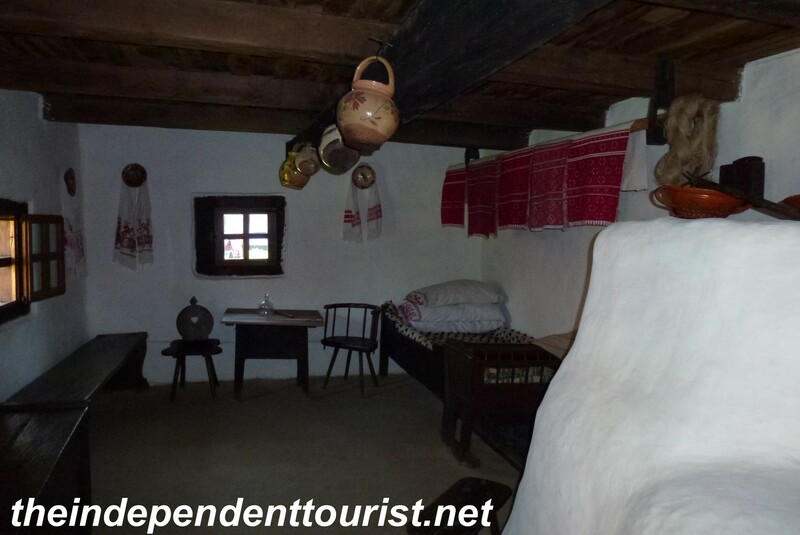 Many of the homes are open for touring, and local guides dressed in period costumes provide information on life in 17th and 18th century Romania. An example of a home with the living accomodations on the 2nd floor. Interior of a typical rural home in Romania. I found the barns and sheds interesting with examples of tools and farm implements used hundreds of years ago, and in some cases still in use! Much of the farm work today in Romania continues to be done manually, with horses and carts also providing some families’ transportation. Farm shed. 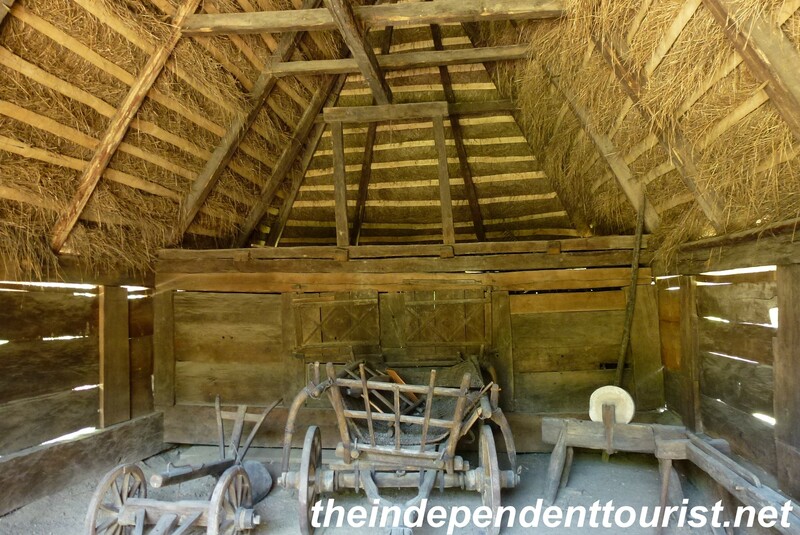 There was extensive use of thatched roofing, not only on this shed but also on other buildings. The museum was founded in 1936, and I think it was a smart idea–to save these buildings from the past as a way to preserve the heritage of the people of Romania, and to ensure future generations have the opportunity to see what life was like in an earlier day. Plan at least three hours to wander through this museum and park. Until I visited this museum, I didn’t know that windmills were pretty common in southern Romania in medieval times. 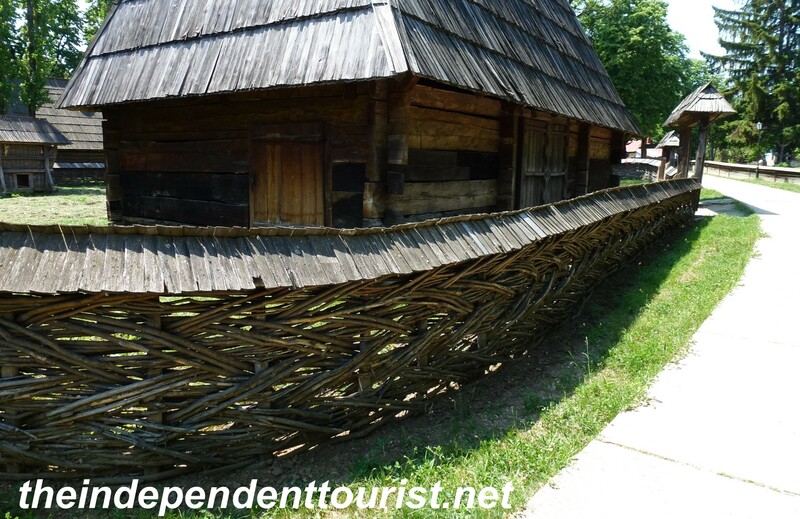 Posted in Romania and tagged Bucharest, Things to see in Bucharest, Village Museum on March 23, 2013 by Paul Terry.